In order to approach the trading mechanism of the futures contracts on SIBEX market, it is highly necessary to understand the term of „futures contract”, with all the implications that trading futures contracts have on the parties. The futures contract is an agreement between a seller and a buyer to sell/buy a specific quantity of goods with delivery at a future date called „settlement date” and at a presently negotiated price, all constricted to standard specifications. 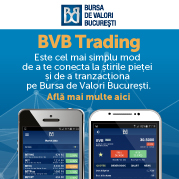 Although the derivatives were quite recently launched on the Romanian capital market, the advantages in trading these instruments were acknowledged by the investors, the most important being: „margin trades” and „short selling”. In order to start trading FUTURES, a client has to deposit in VIENNA Investment Trust‘s bank account a certain amount, called margin. This margin is a guarantee that the winner will cash his money and the loser will pay it. Generally, the Futures trades do not finalize with the delivery of the underlying asset. Almost all Futures trades are liquidated with the payment in cash of the difference between the price established when the contract was initiated and the price of the underlying asset at settling day. Another way is the liquidation of the contract through an opposite operation. How to make profit from futures trading? Buy cheap and sell expensive – no matter the order – or buy when you anticipate a price increase and sell when you anticipate a price drop. The Options are standardized contracts that give the buyer the right, but not the obligation, to buy (for a call option) or sell (for a put option) a specific amount of a given stock, commodity, currency, index, or debt, at a specified price (the strike price) during a specified period of time. The premium is the only negotiable element, the rest of the elements are standardized, even the price the trade will be concluded, called strike price. The options traded on SIBEX have as asset the futures contracts, meaning that they give the buyer the right to buy or sell futures contracts. When the buyer decides to exercise his buy or sell right given by the option, the seller is obliged to be the counterpart. In order to start investing on this market, you just have to create a trading account by contacting VIENNA Investment Trust. One of our Brokers specialized on this market will give you additional information and will explain how you can become our client and conclude a contract with us. Basically, the procedure is similar to the SPOT account opening. VIENNA Investment Trust does not charge the account opening or subscription fee, but only the commission for the trading, depending on the number of futures/options contracts that the client will trade.